Fidel features on the “Songs of Ayahuasca” CD, a fascinating project by Jeronimo M.M. / ayadoc.blogpost.com as a representative of the potential origins of the ayahuasca plant and culture (see also below). Fidel is currently president of CYRAE, the shamans’ assocation mentioned in the notes below – see Council of those who know: CYRAE. This is where the journey begins, for it is theorized by some researchers that the origin of ayahuasca use lies in this very geographical area, the Napo river, in Ecuador. Here’s a quick summary of these theories: In the Pleistocene Age (2 million BC to 10000 BC) there were a series of glaciations that put most of the American continent under a sheet of ice. During these glaciations there were certain areas called Pleistocene refuges where the ice didn’t reach. In the entire American continent there were only 9 such refuges. It was vegetation from these areas, veritable centers of biological diversity that re-populated the continent when the ice ages passed. The Amazonian Piedmont of Ecuador and Colombia is recognized as one of the areas with the highest biodiversity in the world. All of it originated in the Napo Pleistocene Refuge, which includes the Napo River and spans the area between the Aguarico River and the Caquetá River in Colombia. Most of the plant species in today’s Amazon come from that refuge, including -it is theorized- the ayahuasca vine. Thus the indigenous groups of that area are thought by some academics (G. Zuluaga, G. Highpine) to maintain the oldest, longest, traditions of ayahuasca use, starting with the Napo Runa (which would include Fidel) and then further down to the Siona, Kofan, Kamsá, Koreguage, Ingano and others. It is in these tribes where ancestral ayahuasca use can be proven. It is also among these groups that wild vine use is has prevalence over cultivated vines. Some academics (P.Gow, Brabec de Mori) believe that in other tribes ayahuasca use can be as young as a few hundred years old. Fidel’s style of working is slightly different from what I have seen further downriver in that right after the effects are felt he will begin the individual healings which are fairly long in duration. So on any give night he won’t treat more than 8 people or so, after he's done he will talk in the patient's ear for a while, telling them you what he’s seen and giving advice. “I looked at you and saw you are alright. It’s just that recently you were born again and that’s why you are still a bit weak, like a baby." “That’s because you had NO FAITH in it." And with that he sent me back to my place. It took me a few years to realize how right he’d been, but that’s another story for another time. I’ll just say that nowadays I drink tobacco as he prescribed, and it no longer makes me sick. I learned to have faith in tobacco. Will come to your house, anywhere in Ecuador, if you for transport etc. Preparation: Non-commercial, from forest gardens, sustainable, organic. Prepared traditionally with love and care and local secrets. 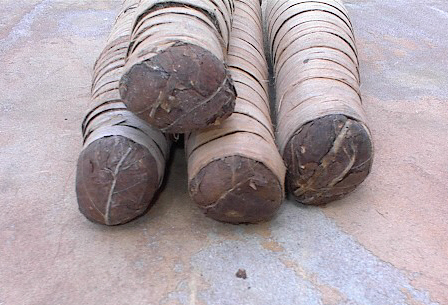 Medicine content: Only ayahuasca with chakruna and chalipanga - no other things like tobacco, toe/wantu or whatever!!! This is safe and sound! Do you use any props during the ceremony? : Tobacco, leaves, icaro, cologne, conversation and integration. Fidel has a simple hut for ceremonies. Rough and ready. Bring a tent or a mat and sleep on the floor. I have participated in several ceremonies with Fidel Andy Grefa. He is not set up with a lodge for tourists. He is a working Kichwa Yachak. From my experience, Fidel Andy performs limpia (cleaning) ceremonies. After performing the limpia, he will provide information about what he has seen during the ceremony and any other information that he believes might be useful for the client/patient. He performs the limpia with singing in Kichwa and accompanied with a suriponga for every participant. Therefore, for the ceremonies I have participated in, the gatherings have been small as the limpias can take some time. I get by with my limited Spanish abilities, however it might be useful to have a fluent Spanish speaker who can assist you with the conversation if your Spanish skills are lacking. Napo Runa culture is very complex. A little research into the ethnographic literature will demonstrate this point. Because of Fidel Andy’s years of experience working with many different types of clients, he is comfortable with foreign clients. I have worked with Fidel for more than ten years. 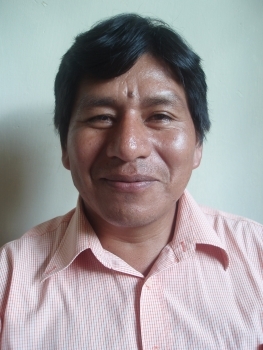 He is one of those rare shamans who build a bridge between the traditional Kichwa style and the modern world, because he speaks very good Spanish as well as Kichwa and he loves to share his knowledge and teach people about the magic, energetics and philosophy of ayahuasca, the use of plants and his techniques. He works regularly with locals and all over Ecuador. I have seen him in ceremony with hundreds of other people, too, and he is always careful, caring and helpful. His insights are powerful and his curations effective. You will need a translator if you do not speak Spanish and want to learn from him and get as much out of the ceremony as possible, but if you are ill and need treatment, then it is also possible without sharing a language! He is not a tourist shaman, but he will happily work with foreigners and he provides good protection!